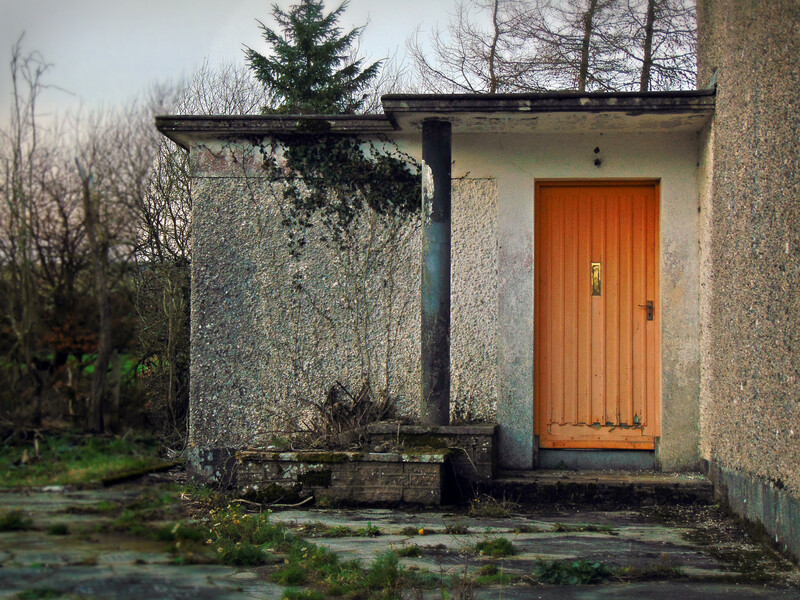 Saint Patrick’s National School is situated in the rural North Tipperary village of Upperchurch. The complex includes the school building, playground shelter and outdoor toilet block. Its design represents the quintessential 1950s style national school in Ireland – simple in form and filling primarily a functional role. Many of the fixtures and fittings appear original. Though this building dates to the 1950s, an earlier school house was present in the centre of the village, as indicated on the First Edition Ordnance Survey sheet for the area. 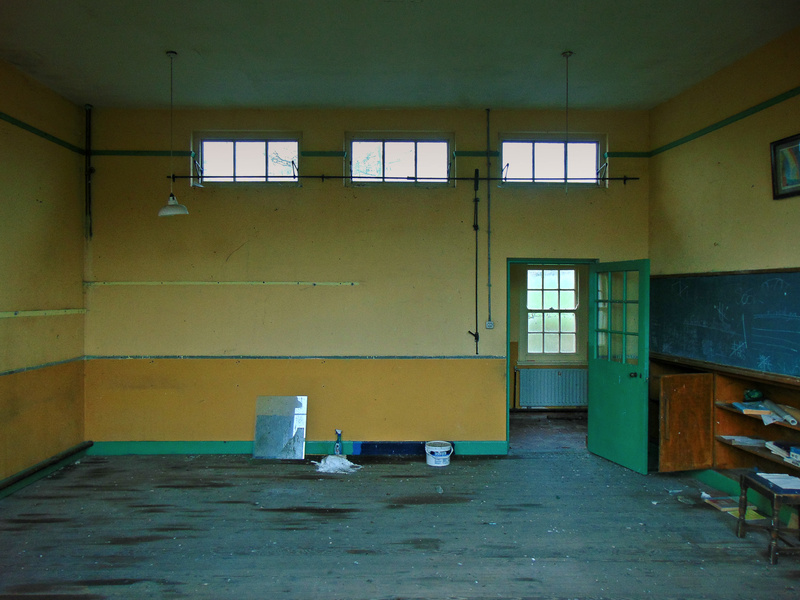 The school building documented here fell out of use in the 1980s – in September 1984 Scoil Ioasgáin officially opened nearby in the village. 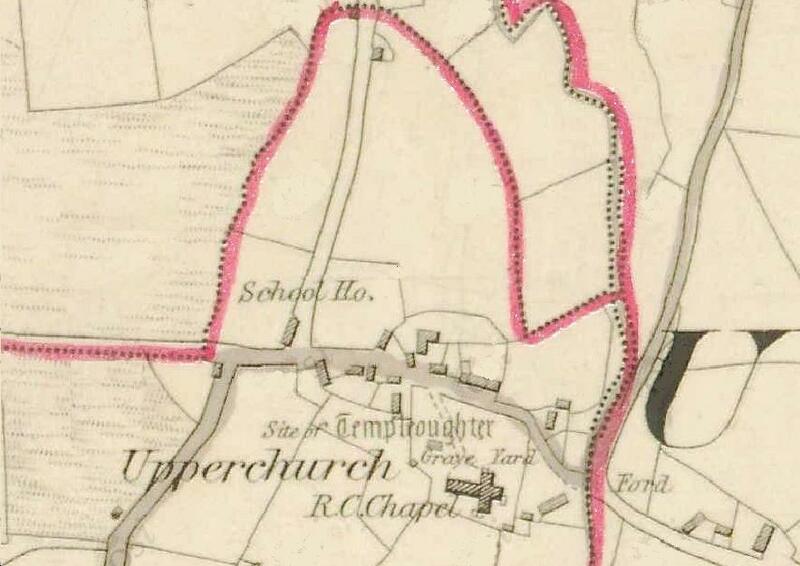 At this time three local schools amalgamated together to form Upperchurch Central NS. The school building comprises a detached six-bay double-height national school with a four-bay single-storey flat-roofed block to the rear, flanked by flat-roofed porches at the gable ends with concrete canopies over doors to the side. It has a sprocketed slate roof with roughcast rendered chimneystack and cast-iron rainwater goods. The exterior of the building has a roughcast render with rendered plinth and a slate date plaque. The windows are square-headed with six-over-six pane timber sash windows and concrete sills. The timber battened doors are original. 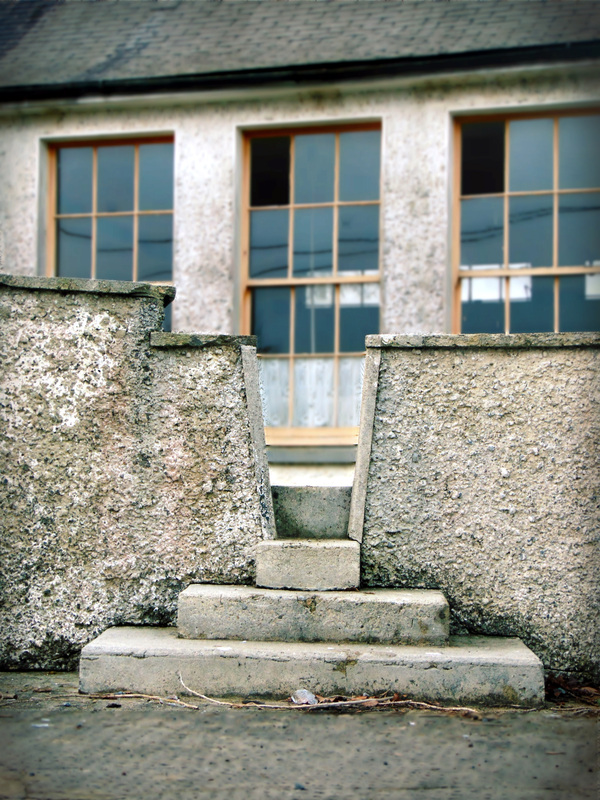 To the side of the school building is a flat-roofed rendered concrete block playground shelter with open front with round columns – segregated for boys and girls. 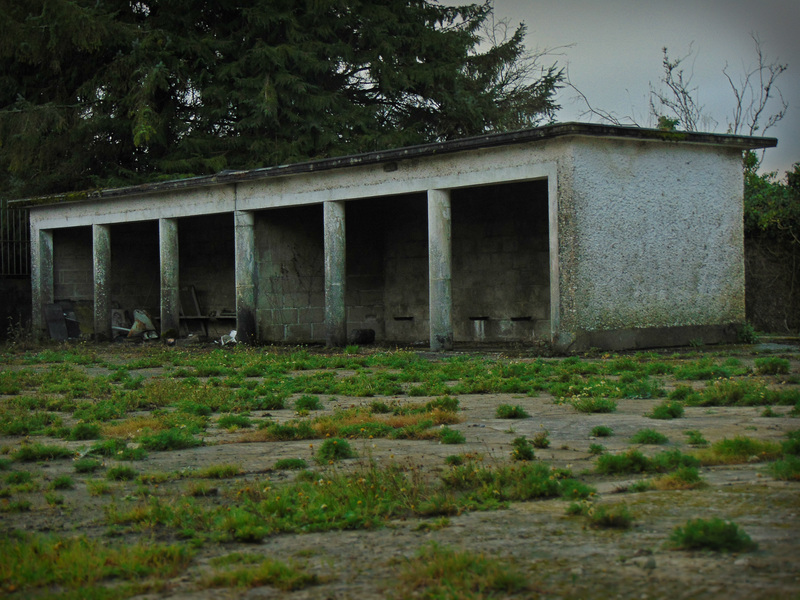 Behind this shelter is the original concrete toilet block with simple non-flushing latrines. The complex is bounded by roughcast rendered walls with concrete stiles and steel gates. 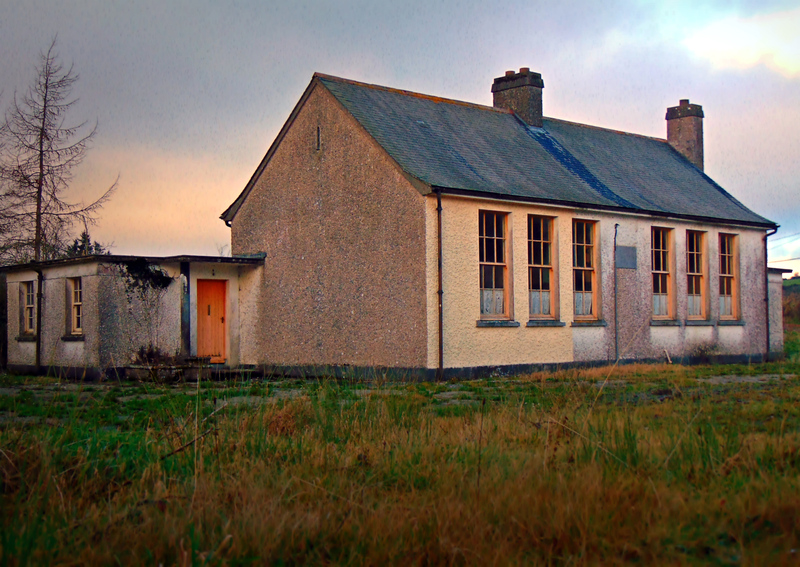 This school house represents a variation of the standard design for national schools built throughout the twentieth century, the building is a successful attempt to design in sympathy with the vernacular architectural tradition of rural Ireland by using simple forms and a limited palette of materials. This former school retains many of its original features and materials such as the timber sash windows, timber door and bootscrape, date plaque, pedestrian stile, steel gates and playground shelter. The schol house at Upperchurch has recently been purchased by the grandson of a former pupil and in currently undergoing renovation. If you or someone you know attended this national school, please do get in touch and share any stories, anecdotes, photographs, or any other memories you may have.